Chinaza has appeared on the Flux mainstage in three productions: Sul (Honey Fist), Peter (Hearts Like Fists) and Vincent Charles (Ajax in Iraq). Besides Flux, Chinaza is a Member of The HartBeat Ensemble. He has also had the pleasure of working a number of awesome companies/theaters in New York City, including The National Black Theatre, The Kinetic Theatre Ensemble, The Talking Band, The NY Fringe Festival, The Movement Theatre Company, Target Margin Theater, The New Museum, and The Piper Theatre. Outside of NYC, he has worked with The Hartbeat Ensemble, The Everyman Theater, and at the Edinburgh Fringe Festival. His Film and TV credits include Frank in Mother Of George (Sundance 2013), Terry Richardson in Terry Richardson’s Last Hours (Cannes 2012), Maceo Figueroa on CBS’ Golden Boy, Calvin on NBC’s Deception, and Pete on CBS’ Blue Bloods. Chinaza is a graduate of the Experimental Theater Wing and The Classical Studio at New York University’s Tisch School of The Arts. 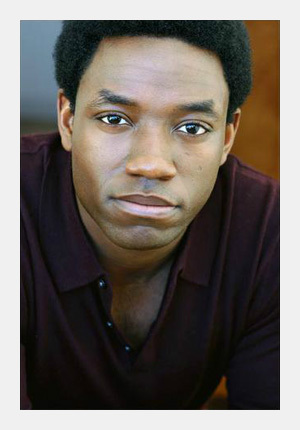 Here’s his official actor website! When he is not acting, he is dancing with The Dance Cartel, hosting fun events, or making music under one of his many aliases. He was born with 6 fingers. They cut extra ones off, but he still has the proof.